When talking about getting a mortgage, there is constant mention of your credit score. Yes, it’s very important to have a good credit score. It could impact the outcome of your loan, but it’s not everything. It’s even possible to get a home with less than perfect credit. Having a better credit score will help determine your interest rate, but it isn’t everything. A credit score is basically a track record of your payment history. If someone pays off their credit card balance in full every month, they are going to have stellar credit. If someone has a good amount of debt and manages to pay on time every month, they will also have a decent score. It won’t be stellar, but it won’t be horrible. If someone has no credit history whatsoever and has only used their debit card to pay in full, they have no credit because there is no credit history. 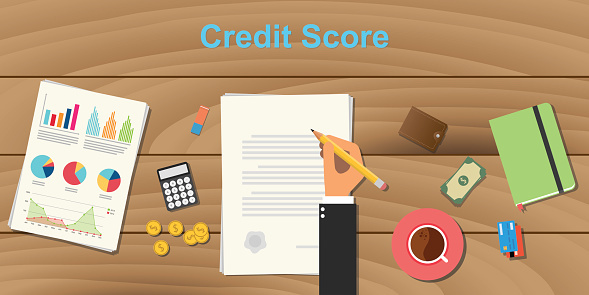 Your credit score does play an integral role in whether you get approved for a home loan, but it’s not a determining factor. Your credit score helps to determine what rate you get on your home. If you have a better credit score, you’ll get a lower interest rate and ultimately pay a lot less in interest over the life of your loan. If your credit could use improvement, it’s not impossible to get a mortgage with a lower rate. FHA Loans don’t require perfect credit and offer competitive interest rates to the mortgagee. Your Debt to Income Ratio (DTI) is your debt in comparison to your monthly income. Lenders use this number to see if it’s possible to repay what you’ve borrowed. Your DTI is calculated by adding up all of your monthly payments and dividing that by your gross monthly income (before taxes are deducted). Having a low number is better, but most lenders will allow a borrower to have a DTI of 43%. Having a higher DTI means that your debt takes up most of your monthly income. This heightens the risk of defaulting on the loan since there is now less disposable income each month. Adding another monthly payment to that will only increase the risk of defaulting even more so, which is why the DTI ratio holds more weight than a credit score.